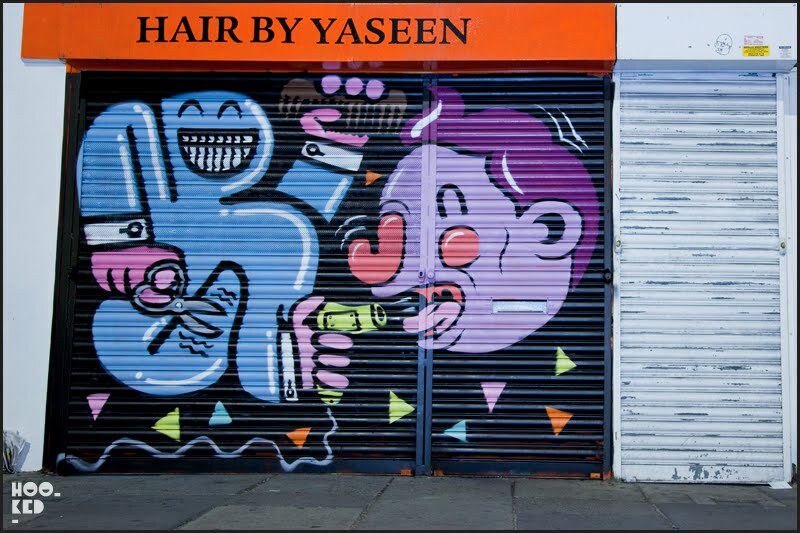 Another evening and another set of shutters get a new lick of paint on Bethnal Green Road this time. 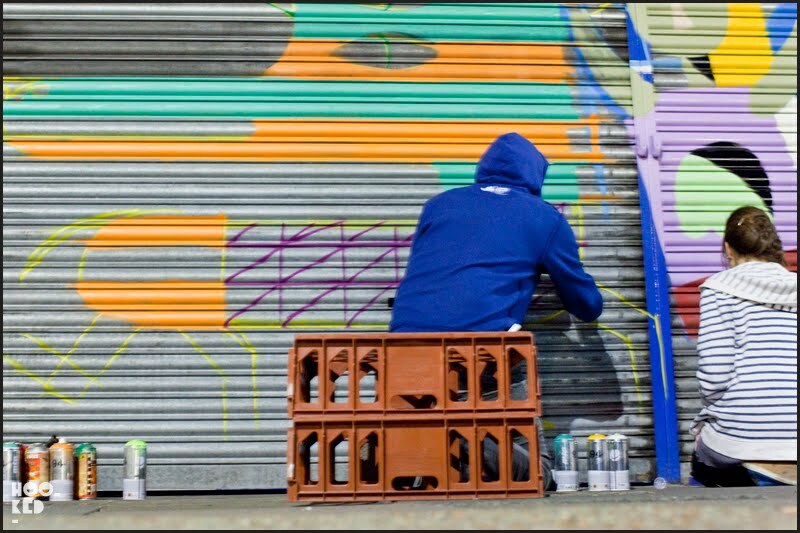 Saturday night saw us at Hookedblog catch up again with Malarky and Billy who collaborated on a shutter together, with Mr. Penfold and What Collective member 45RPM sharing the shutter next to them (pictured above). 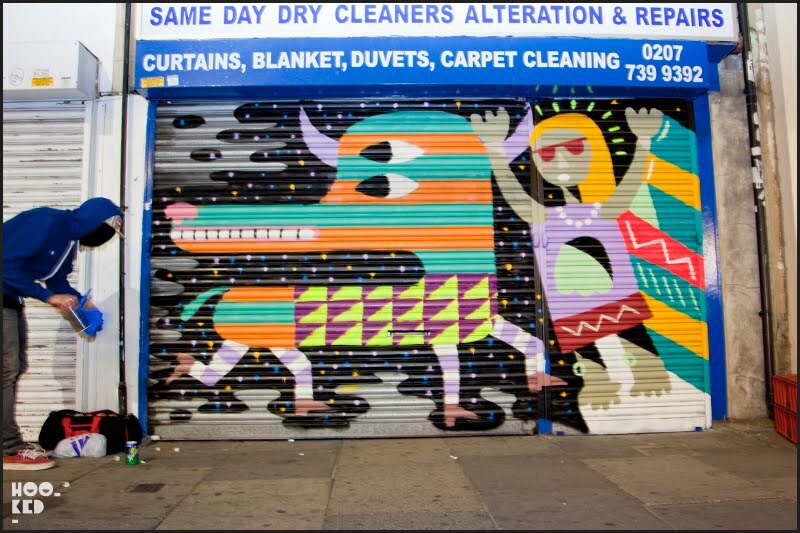 These guys are on fire right now and we are really enjoying seeing all these shutters along this stretch of road getting hit up with such fresh colours and characters. We look forward to more. If you missed the first batch of shutters painted with Sweet Toof the previous night along Roman Road - London, you can check them out here.